Let’s start off with a bang, shall we? I should preface this entry by saying, if you aren’t a fan of colorful foul language, you should probably skip this book. While it is one of my favorite books, I realize it won’t be for everyone. 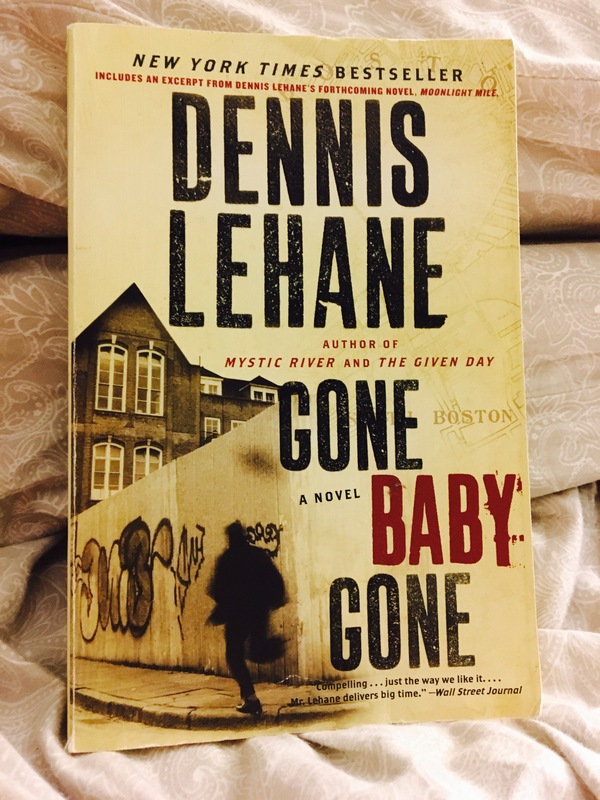 Gone Baby Gone is based out of the hard Boston streets where private investigators (Patrick Kenzie and Angela Gennaro) are hired by a missing child’s aunt and uncle to find her. Enter the shootouts and super sweet criminal nicknames such as Cheese and Bubba. At 412 pages this book will keep you on the edge of your seat. Dennis Lehane has crafted many best sellers and this happens to be one of them. I initially read this book around 2010 so, naturally, I’m unable to give you the exact time it took me to complete this bad boy but I know I flew through it. I easily give this book 4 out of 5. I would probably rate it even higher if it didn’t make me lose an incy bit of faith in humanity, but alas, it has. Which also happens to be part of it’s charm, it is one gritty book.